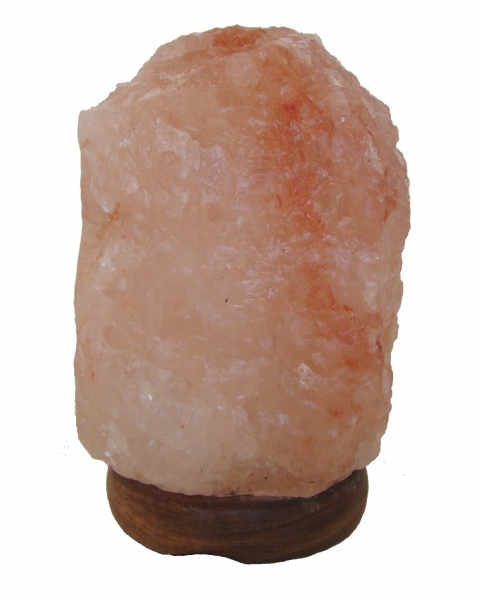 Salt lamp is a lamp carved from salt crystal. Lighting up one tea candle or electric bulb inside the rock salt lamp can clean air, enhance positive energy and improve romantic love. This salt lamp is installed to one wooden base with 2 screws. It has cubic shaped and is approx. 4 1/4" x 4 1 /4" x 7 1/2". The net weight is over 6lbs. This electric salt lamp comes with one electic wire, outlet and bulb. Shape may be a different from the picture shown here.